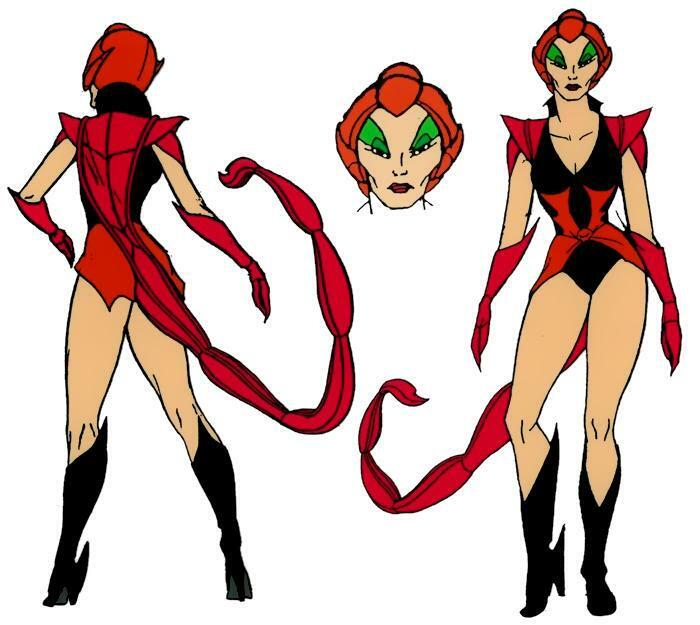 She's Fantastic: The Evil Horde's SCORPIA! With the release of Scorpia earlier this month, my core Horde team is complete. Sure, we'll get Entrapta and Double Trouble soon enough, but Scorpia, Catra, Octavia, and Shadow Weaver were always the main ladies of the Horde in my eyes. When we got the first Adora figure back in 2010, I never would have dreamed we'd see all these characters in the line. Mattel really made us wait for Scorpia. Considering she appeared in 15 episodes, it's shocking that we didn't get her sooner. (It's almost as shocking as how excruciatingly long it took her to get to my door after ordering her 2 weeks ago). Scorpia is worth the wait though. She's almost perfectly executed. The crotch concerns you may be reading all over the internet are indeed valid. It looks as if she's wearing a giant black diaper. But honestly, I'm so in love with every other detail of this figure that I can shrug it off. I will gladly take Scorpia's minor wardrobe issues over the bulky chestpiece problems the recent male figures have been suffering through. It's all a matter of perspective. Let's check out your favorite evil arthropod in detail below! The bulky crotchpiece hangs loose, but curves in to look like it's a leotard design. From most angles, though, it's not very convincing. The tail is executed far better than I would have imagined. It's articulated with a swivel joint at the first "knuckle" away from her skirt. The tail is made from a firm but flexible rubber. I don't doubt that it will hold its shape over time. The facial sculpt and paint is stunning. The "Divine"-style eye makeup could have easily looked cheesy, but instead it's amazing. Scorpia comes with a unique Horde crossbow with its very own scorpion motif. The Scorpion texture of her armor is very well executed. It's very bumpy and layered, giving a realistic arthropod theme to her costume. 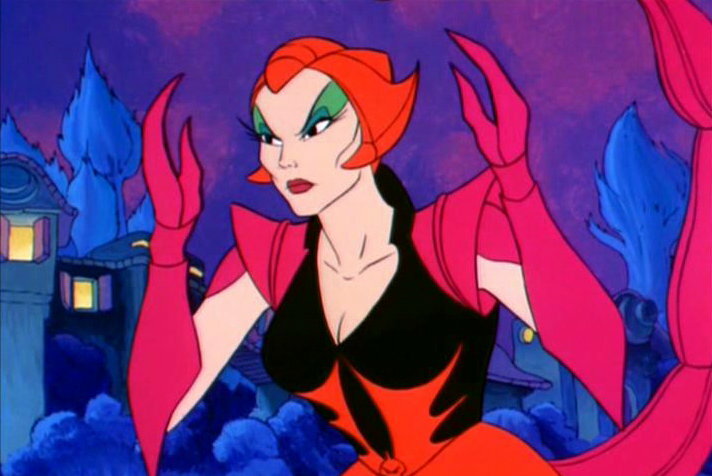 They did a fantastic job sticking to the Filmation design. And here are my favorite wicked ladies all together at last.